Budapest is all geared up for the opening of the World Wrestling Championships. In a press conference by the United World Wrestling (UWW) and the hosts Hungarian Wrestling Federation (MBSZ) has revealed that championship is witnessing unprecedented interest. According to the organizers, fans from 60 countries have bought 40,000 tickets before the opening night. 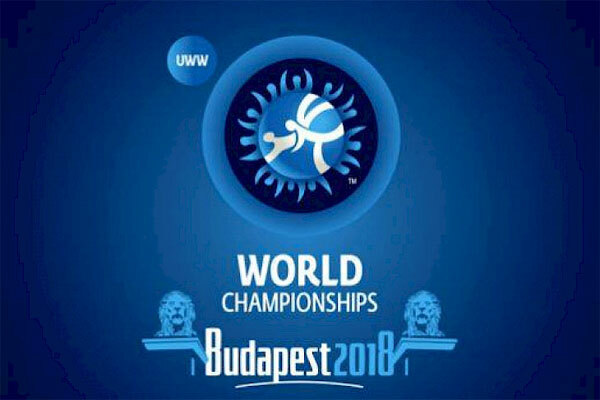 Szilárd Németh, the president of the Organizing Committee and the chairman of the Hungarian Wrestling Federation has declared that 860 wrestlers from 114 countries had entered, which is unrivalled in the history of this sport. He pointed out, that they will welcome a total of 2000 Wrestling fraternity guests who accredited and will spend fifteen thousand night in the capital city. Balázs Fürjes, the Secretary of State for Budapest and its agglomeration, highlighted the positive effects of this world championships that affects Hungary and its capital city. According to him, it is evident, that a huge amount of people will visit our country. Besides, it is the greatest advertisement for Budapest that cannot be measured in money because it probably will take the budge of the city. Furthermore, the development of the target sport is also an important achievement from the world championships’ point of view. In addition, the event unites the nation and generates a great experience for the community. Balázs Fürjes mentioned, that the formal opening of the Papp László Budapest Sportarena was held fifteen years ago and the World Wrestling Championships 2018 provides a great opportunity for the celebration. The most memorable moment of the press conference was when Hungarian Central Bank Cash Logistic Directorate’s chairman Tibor Pataki revealed and solemnly issued the 50 Forint coin, two million pieces were minted for the world championships. The front is identical to the original, while on the back side of the coin we can see a wrestling move based on works of István Kósa, placed under the “Wrestling World Championship” title in a semicircle. The first 12 000 coins were issued in an elegant wrapping by the Hungarian Central Bank. The medals depicting the lion head of the world championships were also revealed on this occasion from which the first gold medal was awarded to Nenad Lalovics by Szilárd Németh. President of the United World Wrestling, Nenad Lalovic also hailed the event preparations by the organizers. Lalovic declared “The biggest wrestling event of all time will begin on Saturday in Budapest.” He also added, that he is pleased to see people’s interest and emphasized that he is surrounded with familiar faces. Moreover, he is sure about the success of the event in advance so he definitely will congratulate to Hungarian organizers on the closing day next Sunday. “This prestigious event is breathtaking, like in an Olympic program that on the one hand makes me happy, while on the other hand makes Hungary prosperous and wrestling may be even more remarkable.” – said the Serbian sports leader, who is also the member of the International Olympic Committee.